For those who like their workout to be harder & faster then look no further than this latest release from our very own ‘Flying Scotsman’. Pumping dance anthems, pop remixes & hard house bangers are combined to create two high-octane mixes with both sides running at 60 minutes with a BPM range of 140 – 154. Hold on tight…this is going to be some ride!!! To be in with a chance to get your copy free, pre-order today to be entered into a prize draw and start the New Year with a few extra pennies in the bank too!! Available to pre-order now until it’s official release on 8th January 2019! 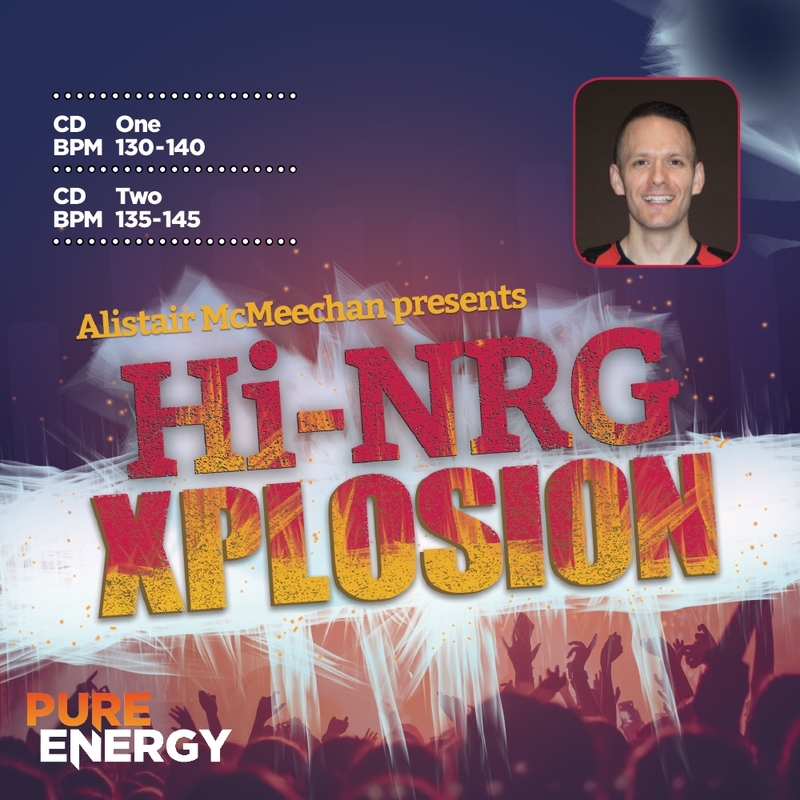 Ali is proud to present his first solo Pure Energy release in the form of the huge Hi-NRG Xplosion! 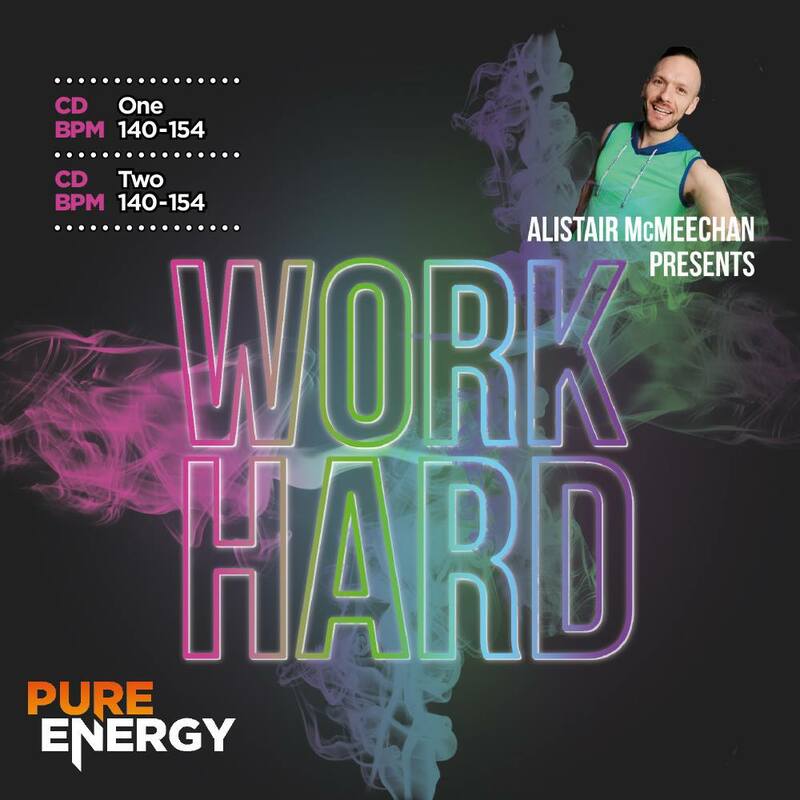 Alistair’s carefully compiled this release with massive anthems perfect for tonnes of fitness disciplines. Side One is comprised of original tracks from the likes of Spagna, Pet Shop Boys, Kylie Minogue, Weather Girls and more, whilst Side Two is made of banging remixes of tracks from DJ Miko, Respect feat. Hannah Jones, Elton John & RuPaul, Supermode, Blur and more. 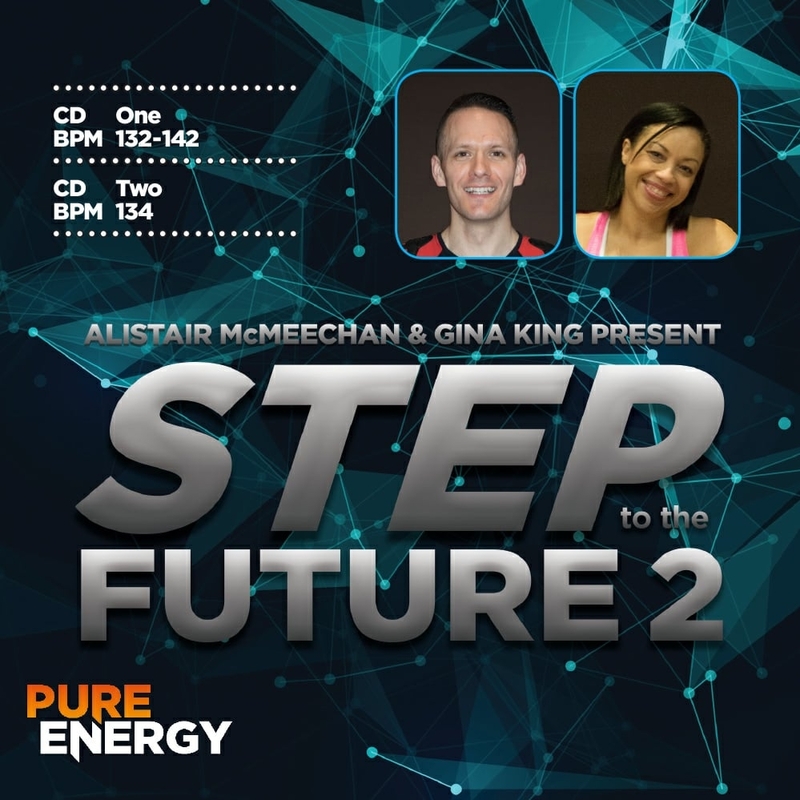 In another amazing compilation from Alistair McMeechan and Gina King, this double-side album features tracks from Jamiroquai, Black Box, KDA feat. Tinie Tempah & Katy B, Nicki Minaj and loads more. Side One is a rising 132-142 bpm and Side Two a constant 134 bpm, making this release perfect for (you guessed it!) Step, as well as many other disciplines! Ali & Gina’s fantastic debut CD is now available to buy from the Pure Energy website. A tailored release for instructors alike, this double-side album features tracks from Black & White Brothers, Paul Van Dyk, Mary J. Blige, Sigala, Mylo vs. Miami Sound Machine, Charli XCX and loads more. Alistair McMeechan and Gina King are here with their first name-bearing release and it’s… Fabulous! 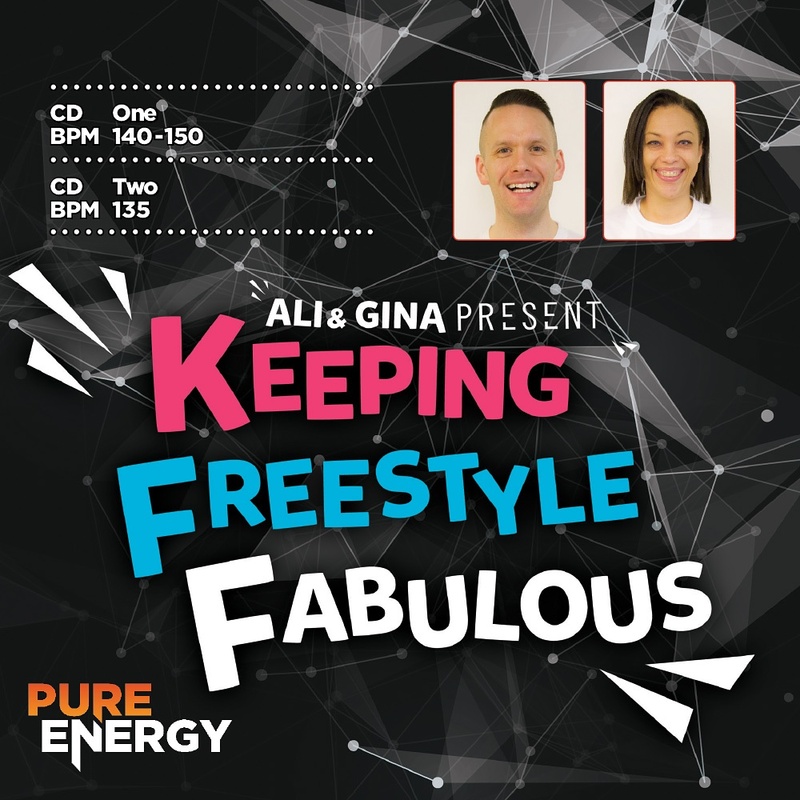 Taking the Step Aerobics world by storm, Ali & Gina have combined their fitness expertise and love of music to create Keeping Freestyle Fabulous.